We offer many other online training courses for Safety Professionals that may be taken to supplement work requirements or for general knowledge. Where applicable, these courses have been reviewed by OSHA and approved in all 50 states. OSHA Online Training Courses have the same advantages as our OSHA 10 Hour and OSHA 30 Hour Courses. You can log in at any time and complete your courses, contact the instructor and obtain proper Certification of Completion at the successful completion of your course. A few of our more popular courses are listed below. To take one of these OSHA Online Training Courses, simply click the button and you’ll be taken to our signup page to enroll. Entering and working in confined or enclosed spaces have special hazards in the workplace. This OSHA Online Training Course prepares employees for the associated risks of performing their job duties in such dangerous environments, The course is designed to conform to OSHA Standard 29 CFR 1910.146, established in 1993 by OSHA. This course may be required in some states, cities or municipalities. Your employer may make this course mandatory for your job. In some cases, hands-on training with protective equipment may also be required to be fully certified at you company or location. This course is for General Industry application only, however. Those working in the Construction Industry will want to enroll in the course below, Confined Space Construction Training. Since it was issued in 1993, the OSHA confined space regulation, 29 CFR 1910.146, has been mostly aimed at the general industry worker. In construction and excavation, confined spaces play as serious a hazardous situation if not more than in General Industry. 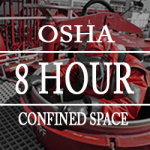 On Aug. 3, 2015 a new OSHA standard became active, clearly defining rules for confined spaces in the construction industry. 29 CFR Subpart AA 1926.1200 is estimated that compliance can prevent roughly 780 serious injuries and five deaths each year. Our OSHA Online Training Course covering Confined Space in Construction, is state of the art and will enable the student to learn about specific hazards and complications of confined space entry on the construction work site. Employers, State and Local laws may dictate that this course be taken in order to work at a job site that has confined space hazards. Title 30 CFR Part 46 (MSHA Surface Miner Training) requires shell dredging, sand, gravel, surface stone, surface clay, colloidal phosphate, and surface limestone mines to have a training plan approved by the Department of Labor, Mine Safety and Health Administration. Part of that training includes the safety protocols and procedures establish by OSHA. 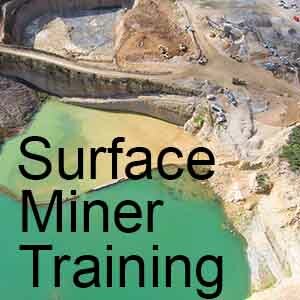 New Surface Miners that have never had training, will want to enroll in this OSHA Online Training Course. MSHA Part 46 regulations require that New Miners complete a minimum of 24 hours of mine safety training within their first 90 days of employment. Four hours of these must be completed prior to beginning work at the mine. Our MSHA Approved course offers over 8 hours of training that was created to meet the training subject requirements in 30 CFR 46.5. This is everything you need to get you on the job safely whether you are a Surface Miner or Surface Miner Contractor. As mentioned above, new surface miners must have a minimum of 24 hours of training within three months of their employment. 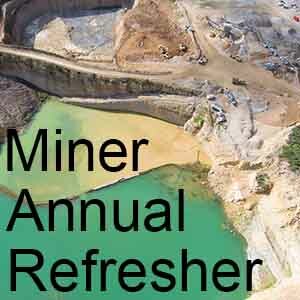 Each year, miners are required to have an annual refresher course to keep their certification. This OSHA Online Training Course for Surface Miners, satisfies the renewal requirement and can be taken online. Upon completion of each individual module, students will be able to access a certificate of completion of their mine safety training course. The 5000-23 Training form is used to record and document successful completion of the course. 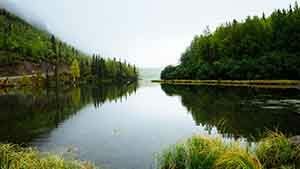 Generally, the person signing the form is the mine operator or a person acting on behalf of the operator. The Mine Safety and Health Administration (MSHA) publishes a Free Guide on Part 46 Training. This 24 hour online training course is designed for safety professionals who are working in the safety and environmental fields. It is intended to give an intensive overview on EPA regulations surrounding various EPA standards and procedures including the Clean Air Act, Clean Water Act, Spill Prevention, Control, and Countermeasure (SPCC), Resource Conservation and Recovery Act (RCRA), Emergency Planning and Community Right-to-Know Act (EPCRA), Toxic Substances Control Act (TSCA), Comprehensive Environmental Response, Compensation and Liability Act (CERCLA), plus other environmental compliance regulations. Upon completion of this course students will receive a certificate certifying them as a Certified Environmental Specialist.